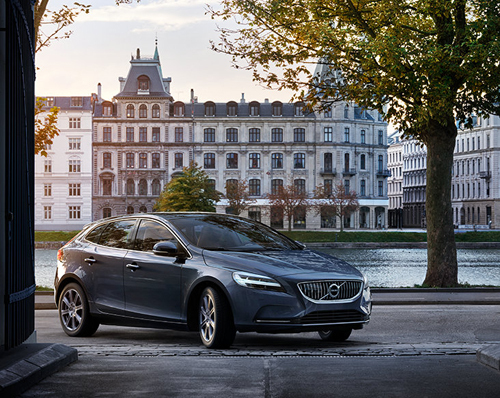 2016 – Volvo V40 at parking entrance on 7 Sortedam Dossering (with Øster Søgade and Søtorvet at the other side of the Peblinge So) in Köpenhamn / Copenhagen. 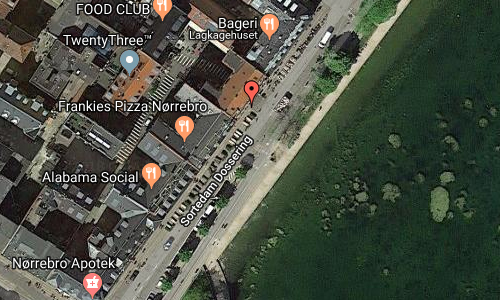 Sortedam Dossering is a street that follows the western shore of Sortedam Lake, from Nørrebrogade in the south to Østerbrogade in the north, in central Copenhagen, Denmark. The section north of Helgesensgade is closed to cars. 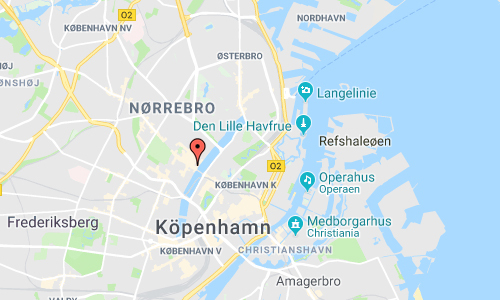 The section from Nørrebrogade to Fredensgade is in Nørrebro while the section from Fredensgade to Østerbrogade belongs to Østerbro. 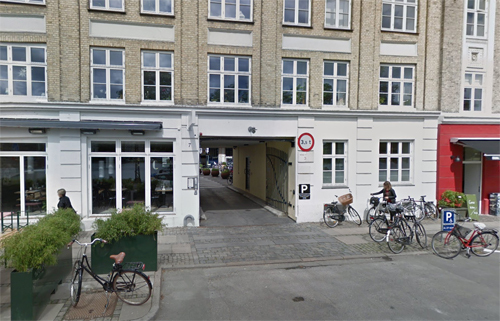 The block between Nørrebrogade and Ravnsborg Tværgade is known as the Irma Block (Danish: Irma Karréen). The supermarket chain Irma was founded at the site 1886. The oldest part of the 20,000 square metre block was built in 1871. It was renovated with the assistance of Årstiderne Arkitekter in 2014. Madklubben opened three restaurants in the complex in 2015. One of them is located in a former Irma warehouse in the interior courtyard. 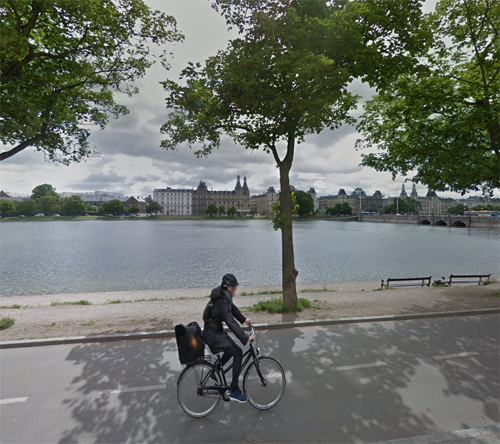 The southwestern continuation of the street, along Peblinge Lake, with only the short stretch between Nørrebrogade and Baggesensgade open to car traffic, is called Peblinge Dossering. Collectively Sortedam Dossering and Peblinge Dossering are known as Dosseringen (definite form). 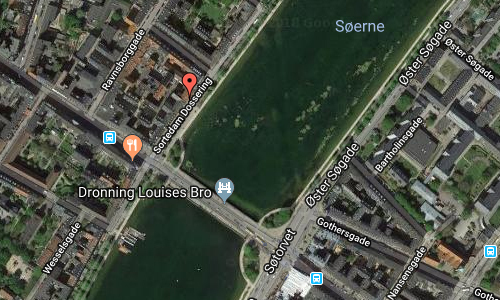 The path along the shore of St. Jørgen’s Lake, the lake furthest to the south, is called Svineryggen (‘The Rack of Pork’). More information at en.wikipedia.org and madklubben.dk.